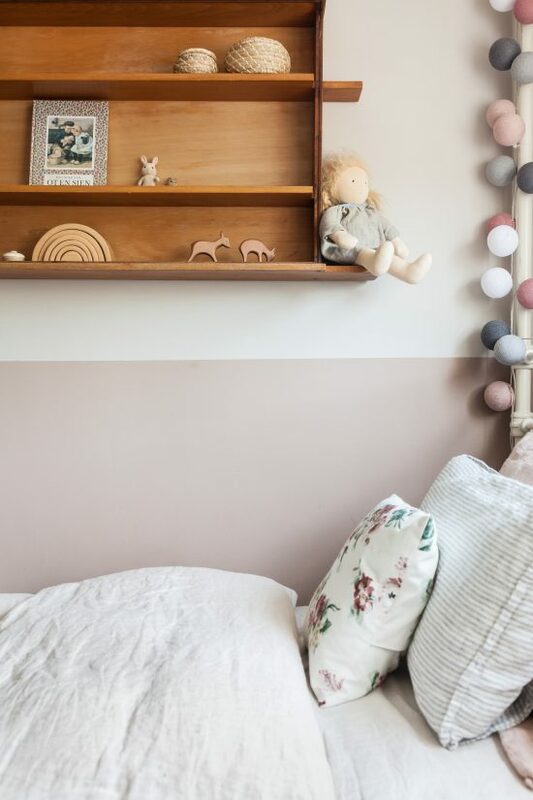 Our client was deeply inspired by a very special room tour she had spotted here on the blog that you might recall – Lola’s bedroom. 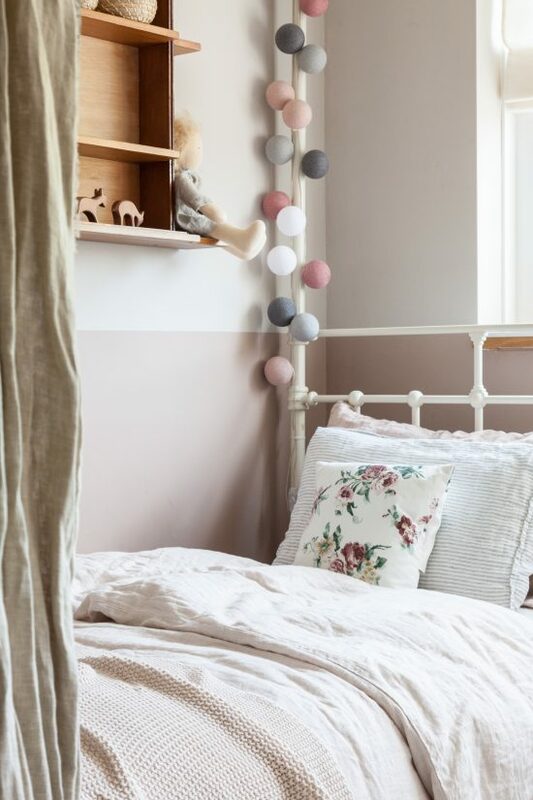 So much so, that for her own daughter we adopted many of the same ideas including half painted walls, soft linens, clever storage solutions and a sweet palette fit for a princess. 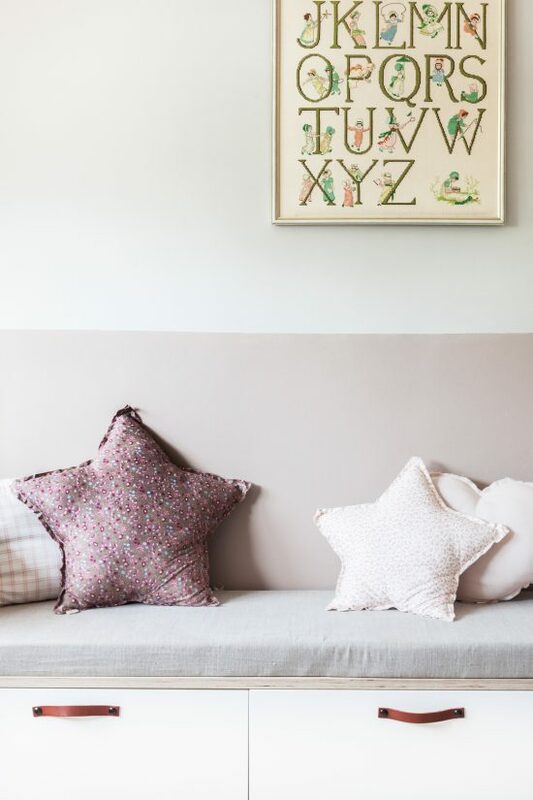 It’s always such a compliment to know that our spaces inspire others and we were more than pleased for the same love to be applied to this room as it was in Lola’s. 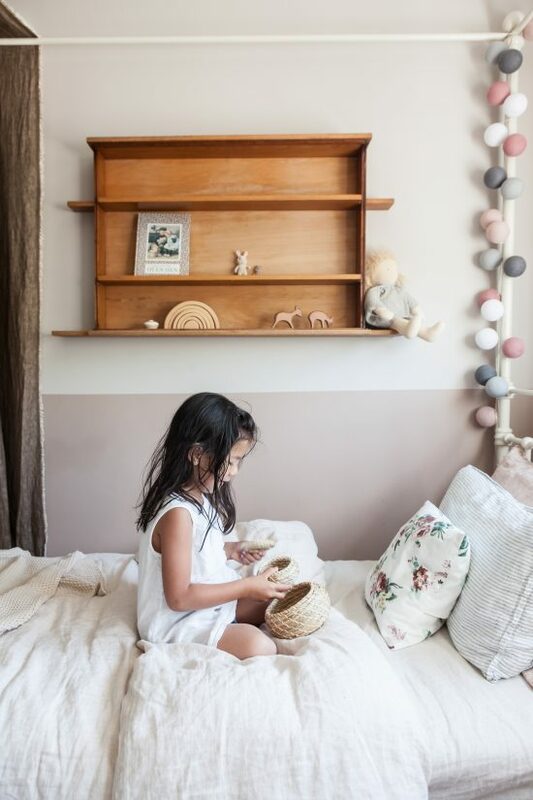 With the bed and a few heirloom pieces already in place, we layered in the softness to create a charming space that any little lady would love! Hope you guys loved today’s room tour and are enjoying following the Project R series. 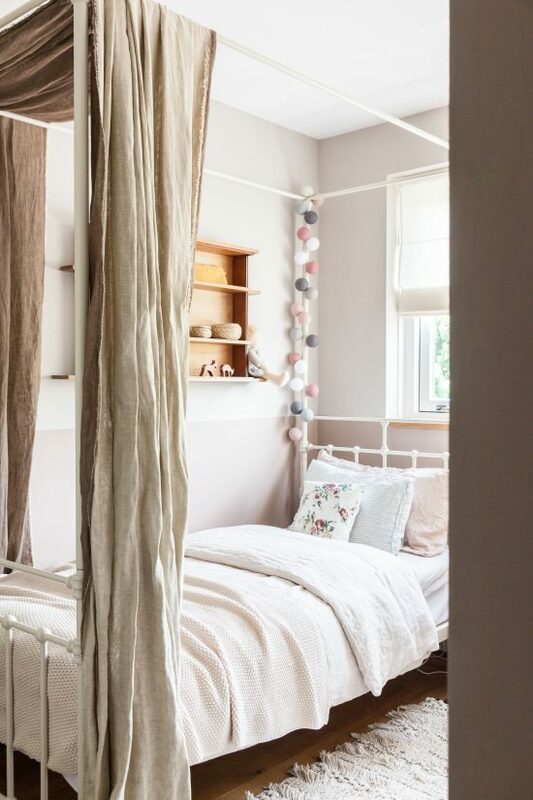 We will be back with one more space to show you on Friday – the guest bedroom. 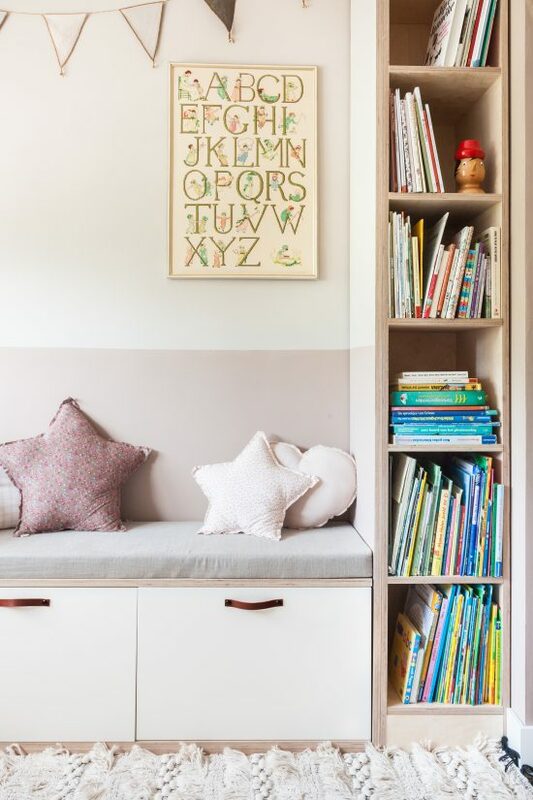 In the meantime, in case you missed them, here’s the living room and play room. I usually leave comments on the instagram, but today I decided to write here! First, sorry for my english, I use google translation and a dictionary (hahaha). I really like seeing your Project R series – although I would love to have the vtwonen magazine, which unfortunately I did not find it in my country. 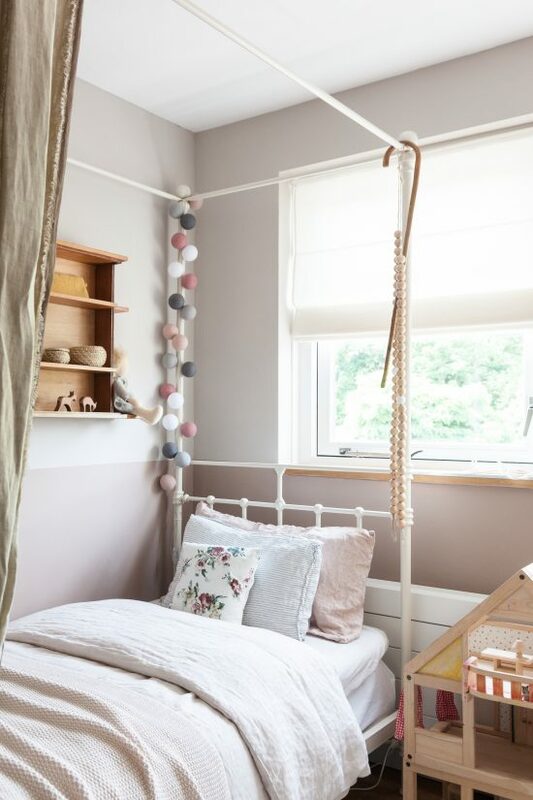 This little girl s bedroom is so simple, charm, romantic and sweet! 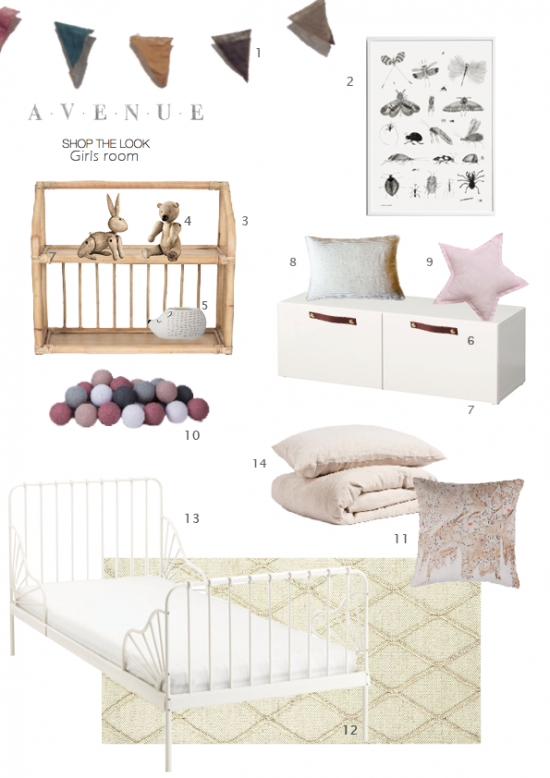 It has the most beautiful linen, furniture and color palette! Love the calmness and the aesthetics that exudes! Christina says:, thanks! And thanks for sharing your great posts every week! Very nice style, as usual, beautiful. I like these projects very much. Styling in such a beautiful style.